Featuring "Time to Make the Donuts," by the Hayground School. 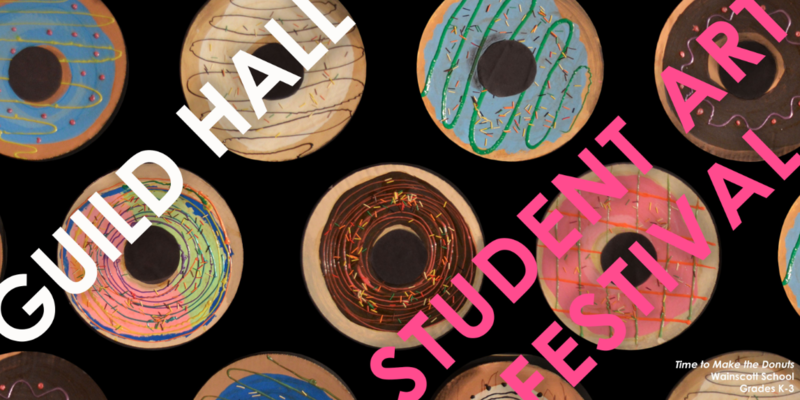 This past weekend, on the 19th, Guild Hall in East Hampton hosted their 27th annual Student Arts Festival, celebrating the works of students from kindergarten to twelfth grade from not only East Hampton but the surrounding towns as well. The works of several Pierson students were on display, with some stunning works done by the Advanced Photography class, who had their exhibition at the John Jermain Library on the same day. Along with visual and digital arts, performance arts by several East Hampton groups, and some individual performers. Dancing, singing, playing instruments- the stage saw it all. The physical exhibition will be featured until the 24th, and rewards and recognition will be given to those excelling in their area of submission on the 10th of February. Guild Hall has been very dedicated to the appreciation of up-and-coming talent since its very beginnings, and the Student Art Festival has been an integral part of its community involvement since it was initiated. Now, since last year, Guild Hall’s Teen Arts Council has been involved in the machinations and recognition deliberations of the Arts Festival, and are working to get more of our peers to submit, perform, and get involved. If you are interested in joining the Teen Arts Council, or even in submissions for next year’s Arts Festival, please let a Council member know, and we can put you through! There are two representatives here at Pierson, Lola Lama and myself, both juniors. If you happen to be in East Hampton or are interested in seeing and supporting the work of local students, head over and take a look!